Created by Scientific Games, Monopoly on The Money is a 5 reels and 10 paylines slot. This game can be played on all devices including desktop, mobile or tablet, at Wicked Jackpots. The features that are implemented onto the game and that you’ll be able to benefit are Re spins, Multipliers, Free Spins and other bonus rounds. This highly entertaining game is themed on the famous board game from Hasbros. It consists of symbols themed according to that game. You may find symbols such as Medium Stack, Small Stack, Large Stack, Dog, Cat, Hat, Monopoly On The Money Logo, 10, K, Q, J and A! As soon as you open the game, set your stake amount on the Total Bet Field. You may use the + or – button to adjust your preferred bet! The Autoplay Feature enables you to select numerous games, which are then played on their own. On Monopoly on the Money slot, to trigger winnings, you’ll have to form winning combinations of 3 or more similar symbols on active paylines, starting from left to right of the slot grid. Bet Levels: No bet levels are available on the game! Amount of Paylines Selection: The paylines cannot be altered and they remain fixed throughout your gameplay! Coin Values: Coin values vary from £0.10 to £500.00. The Wild Symbol is represented by Mr Monopoly. He substitutes for any other symbols found on the reels. On the other hand, the GO symbol is the Scatter that generates the Free Spins Feature. 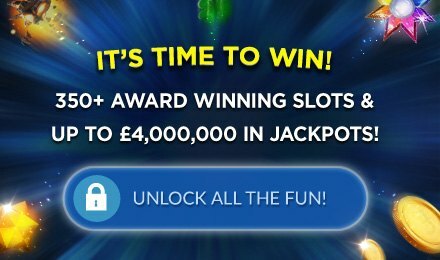 3, 4 or 5 scatter symbols on the reels award 8, 20 or 50 free spins correspondingly. Once the feature is initiated, you can Collect or Gamble your free spins. When gambling your free spins, the highest amount you can catch hold of is 25 but there is no limit to the number of gambles you play. Throughout this feature, Mr Monopoly pops up. Regardless of where he appears on the reels, every time he shows up, you’re granted a cash prize. 3, 4 or 5 Mr Monopoly symbols generally grant 1x, 5x or 25x your stake value. The big bet mode contains a series of 5 linked spins for a higher bet. All playing cards grant 20x your bet for 5 on a payline. For a 5-symbol combination of the Medium Stack Symbol, you can lay your hands on 40x your stake. The hat, dog and cat symbols grant you 200x, 100x, and 100x your bet respectively. The Monopoly on The Money Logo is the highest payline symbol that comes into play. It grants 400x your bet for a 5-symbol combination.